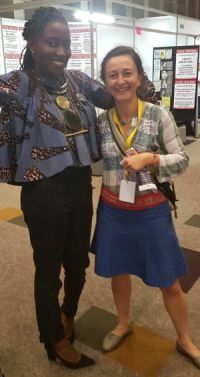 On February 14th, ASRU researcher Dr Elona Toska, presented on factors linked to onwards HIV transmission risk at the 8th African Conference on Sexual and Reproductive Health. Her presentation drew on quantitative analyses of the baseline Mzantsi Wakho dataset. Findings were of particular interest to colleagues from UNFPA, the AIDS Foundation of South Africa, Ministries of Social Development, Urgent Action Fund – Africa, and Marie Stopes from Kenya, South Africa, Swaziland, and Uganda.